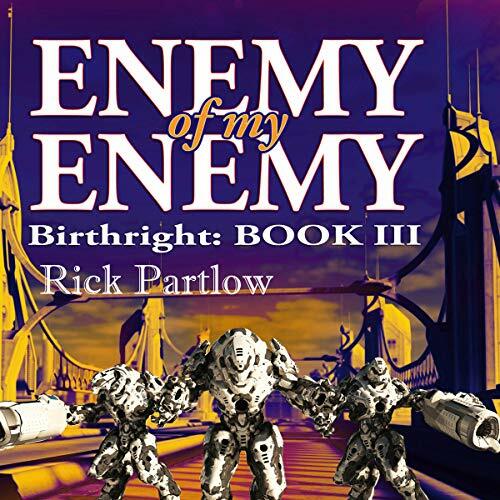 Caleb Mitchell, Deke Conner, and Kara McIntire return in the latest novel in the star-spanning Birthright series. Travelling back from their mission to the Northwest Passage, having closed off that corridor into our part of space to alien invasion, Cal Mitchell and his friends are now faced by a threat closer to home. When the former DSI commando Robert Chang, known as Cutter, had deceived them into helping him find the legendary Northwest Passage, he'd used all of his resources for his set-up - including replacing a few key military officers with genetically duplicated copies made in his lab and under his control. Cutter is gone, but his organization remains...and so do the replacements.